Gordon Lightfoot in Montreal or Quebec City? Inform me about the next events for Gordon Lightfoot. Enroll yourself to our priority waiting list for Gordon Lightfoot to be alerted when new tickets are available. Filling this form doesn't engage you to any purchase. Gordon Lightfoot will be performing at the Wilfrid-Pelletier, in Montreal, on April 8th, 2010. 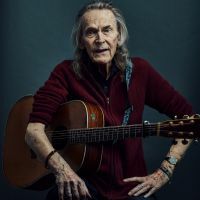 In over 30 years, Gordon Lightfoot released 20 albums including classics such as Don Quixote (1972), Sundown (1974) & Summertime Dream (1976) which were all #1 hits on Canadian Billboards.